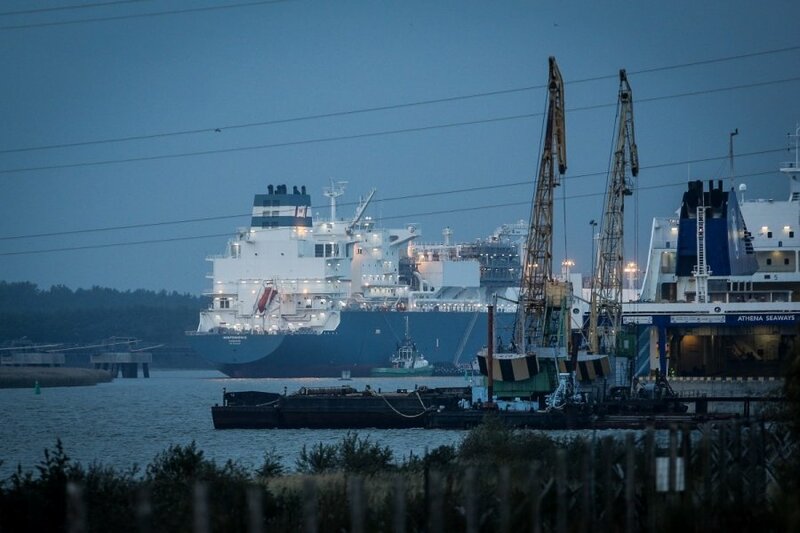 Lithuania's LNG terminal: Less dependence on Russian gas, but more dependence on fossil fuel? This Monday, Lithuania congratulated itself on finishing a seminal project in its energy independence policy and welcomed the floating liquefied natural gas terminal in the Baltic port of Klaipėda, from where it will open a second gas import line, an alternative to Russia's gas giant Gazprom that had monopolized the Lithuanian gas market. Local and international observers welcomed Lithuania's LNG terminal as a huge step towards breaking free from dependency on Russian energy imports - which always come with strings attached - while others say the step is not quite in the right direction as Lithuania should look ahead and seek to lessen its reliance on fossil fuels. 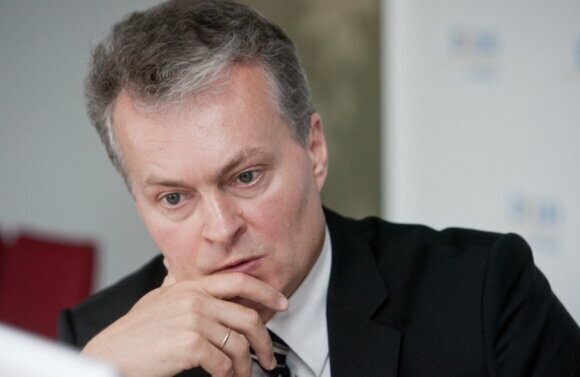 According to Raimondas Kuodis, deputy president of the Bank of Lithuania, the LNG terminal is a purely political victory which makes little sense economically and Lithuania should give up gas altogether, Russian or not. Economist Gitanas Nausėda, of SEB Bank, disagrees, however, saying that the terminal brought benefit to Lithuanian consumers even before the big ship docked at Klaipėda. "We now have a rather big terminal, an alternative to Gazprom's supplies. 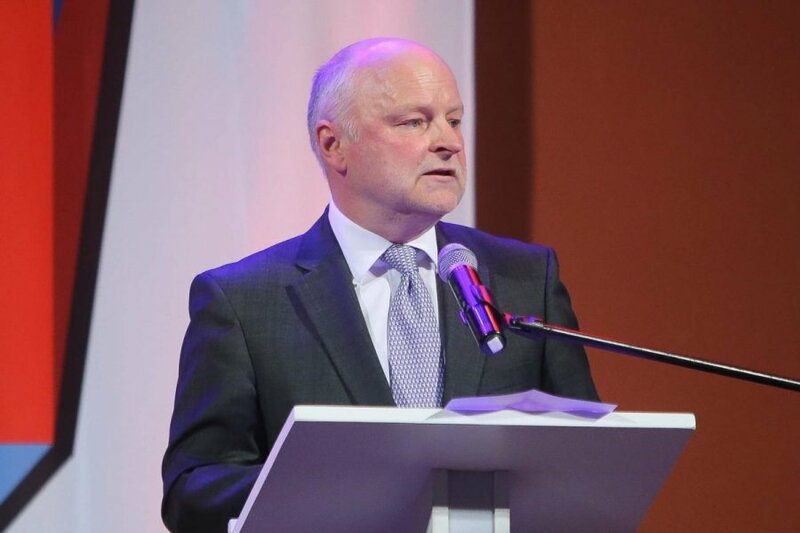 It might happen that Lithuania will need half a billion cubic metres of gas a year, while our infrastructure will support ten billion - we won't know what to do with it," Kuodis tells LRT radio. He adds that the LNG terminal is a political victory, but not an economic one. Lithuania should work to gradually phase out fossil fuels from its energy consumption altogether. "Politicians reason otherwise. They care to put a map on the table and draw the front lines: here are the Russians, and here the West. They give little thought to how much the arrows they draw cost, if they are necessary. They only care about maximizing investment so they have photo-ops cutting ribbons. "The terminal is an interim victory, while the true way ahead for Lithuania is to give up fossil fuels. It's the direction taken by the much more far-sighted Scandinavians. The rest are derivative issues and derivative problems," Kuodis is convinced. Kuodis says that what Lithuanian consumers need is not gas, but rather heat, light and mobility. Gas is but one of many ways to produce them. "I've been fighting for years to get Lithuania liberated from gas. I think it is not all that difficult to achieve. The cheapest way to stay warm without using energy is investing into energy efficiency. There was no progress at all in this area under the previous government, so I used to say that its rhetoric was much more anti-Gazprom than its actions. The current government is implementing renovation projects [of energy-inefficient residential buildings], but they are not cost-efficient at all. If we take a look at different projects, it turns out that they benefit construction companies more than residents," Kuodis says. According to the economist, Lithuania could break free from dependence on gas by properly insulating buildings and producing the rest of the heat from biofuel. Electricity could be imported or produced in other ways than in the Lithuanian Power Plant in Elektrėnai, which burns natural gas. Gitanas Nausėda, adviser to the president of SEB Bank, begs to differ, saying that benefits of the LNG terminal extend far beyond the political. He says that the terminal has benefited Lithuania even before it was finished, as Russia's Gazprom, Lithuania's single gas supplier, cut the price by one fifth once it felt a threat to its monopoly. "When it comes to the construction costs of the terminal, oftentimes we neglect to compare how much we can win when the gas price changes that much. Energy Minister Rokas Masiulis put it well when he said that the terminal has already paid off four-fold, a reference to the cuts extended by Gazprom," Nausėda insists. He underlines the leverage that Lithuania will have in negotiating future prices with its suppliers. Gazprom's pricing has been rather politically-inflected, he says, but with a choice of alternative sources, Lithuania will pay a market price. Rolandas Barysas, editor-in-chief of the business daily Verslo Žinios, adds that the energy security brought by the terminal will also add to psychological security of the population. "I think that psychological security provided by the gas storage facility, as well as the oil terminal in Klaipėda, are important aspects, since these are the routes we have been influenced through over the past 25 years. Any infrastructural project is, to my mind, an important step forward," Barysas tells LRT radio. "We can start building aircraft carriers"
Kuodis admits that the LNG terminal project was very well managed and commends the work done by Rokas Masiulis, former director if Klaipėdos Nafta (Klaipėda Oil, the company in charge of the project) and now Lithuania's energy minister. Barysas agrees, adding that "it was the kind of management one would hardly expect in Lithuania". "Perhaps we fail to appreciate one more thing - the way we are seen in the world. As a state that is able to implement projects of this scale. I believe that, both in Europe and the world, we will come across as a more reliable country that one can work with, invest into," Barysas says. Meanwhile Kuodis warns not to get carried away by the sense of achievement. "Imagine what would happen, if, emboldened by this, we revived the nuclear power plant project which makes absolutely no sense economically. All energy experts and economists in the world realize that. But just in order to prove that we can, we could start building aircraft carriers or suchlike. So one must be careful with this new-found empowerment," says the central bank's board member. 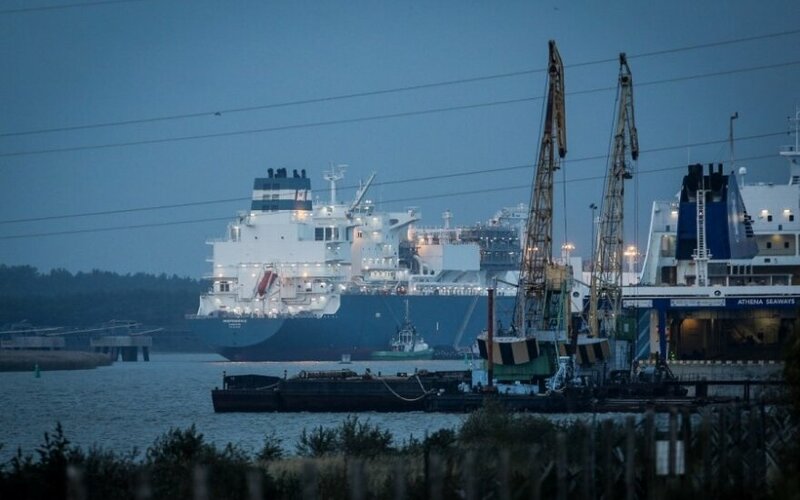 Kuodis adds that the issue of how much it will cost Lithuania to rent the floating terminal from Norway's Hoegh LNG - EUR 0.6bn over 10 years - have not been raised and discussed in time. Moreover, he recalls former energy minister Jaroslav Neverovič saying that Lithuania will have to provide sufficient load for the terminal. "This is my point exactly - to give sufficient workload for the terminal's operation. What does that mean? It means we must import much gas. What are we to do - leave Vilnius and Kaunas [Lithuania's two biggest cities] addicted to gas? I see no point in that, except to provide sufficient load for the terminal. Will we raise quotas for Elektrėnai Power Plant? It's expensive. "I don't think it is sensible to try to consume as much gas as possible, although one can argue otherwise. All these are legitimate economic questions. "But what do our politicians do instead? They take out a map and start drawing front lines which have little to do with the economy. No one as much as asks why we are doing this in the first place. If there are alternatives. Everyone knows that raising energy efficiency is the cheapest way," Kuodis says. Economist Gitanas Nausėda agrees with Kuodis on the point that Lithuania will eventually have to address its reliance on fossil fuels and the need to phase them out. Moreover, he says, Lithuania needs to look for ways to use energy more efficiently - something that the country is already doing. "We need to answer the question of whether or not Lithuania sees itself as a nuclear-free country in 10-15 years - and then draft energy strategies accordingly. 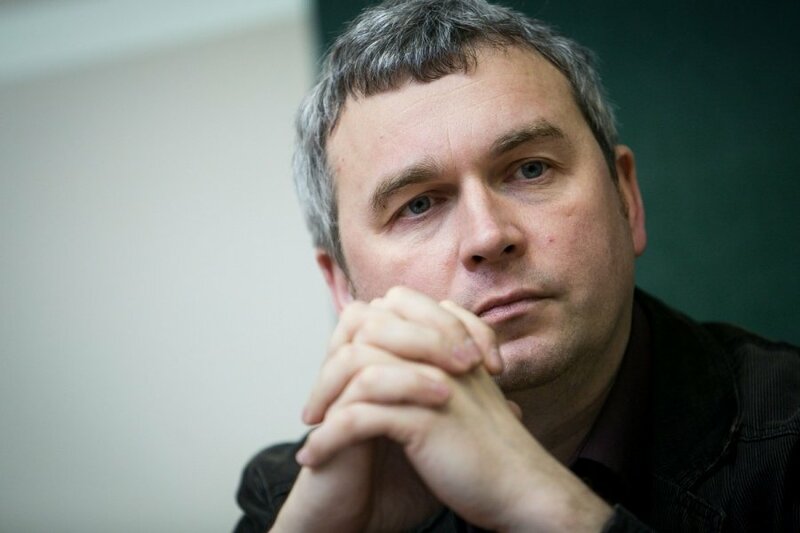 If we decide that we do want nuclear energy, then the development path to take is different," Nausėda says. When it comes to the LNG terminal, he notes, it is one of very few large-scale energy projects during Lithuania's independence that were carried out thanks to cross-party agreement. This aspect alone is worth celebrating.